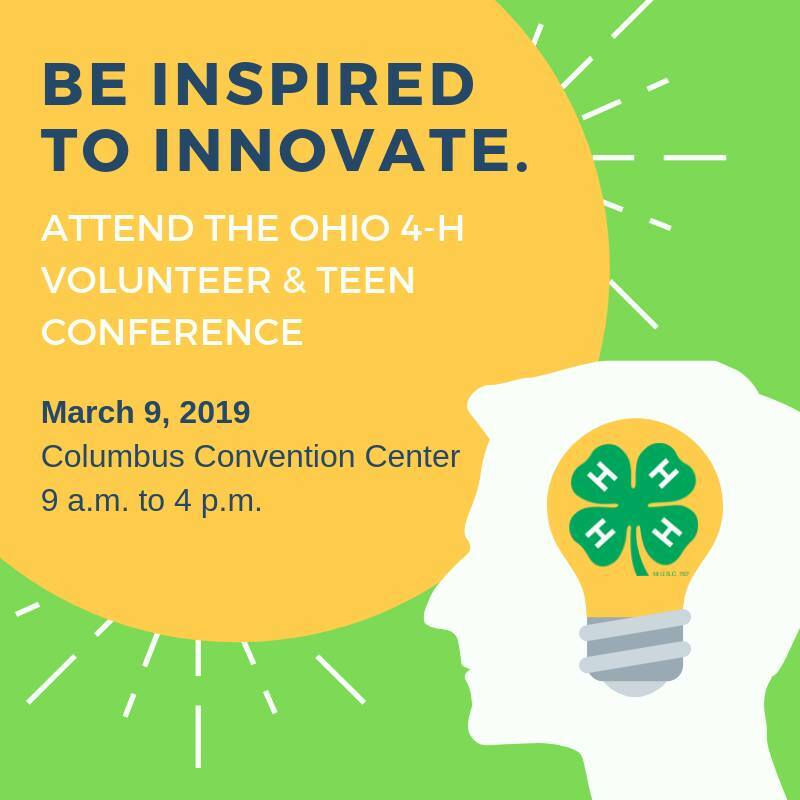 The 2019 Ohio 4-H Conference is designed to bring together 4-H volunteers and teens(age 13 and older) from across the State of Ohio. The objective of this event is to learn together and from each other in order to improve our abilities to deliver the Ohio 4-H Program to its members. We truly believe that these educational selections offer something for everyone, and have the ability to satisfy every taste and need. Registration opens at 8:00 am and Session I starts at 9:00 am. Please click here for the registration form and booklet. Registration goes through our office and is due by February 7. Just a reminder that the Ohio 4-H Conference is coming up on March 10. This is a fantastic opportunity for teens as well as volunteers. The 2018 Ohio 4-H Conference is designed to bring together 4-H volunteers and teens (age 13 and older) from across the State of Ohio. The objective of this event is to learn together and from each other in order to improve our abilities to deliver the Ohio 4-H Program to its members. We truly believe that these educational selections offer something for everyone, and have the ability to satisfy every taste and need. We must have the paperwork and payment in our office by Thursday, February 8 in order to complete registration. See below for the registration form and booklet.